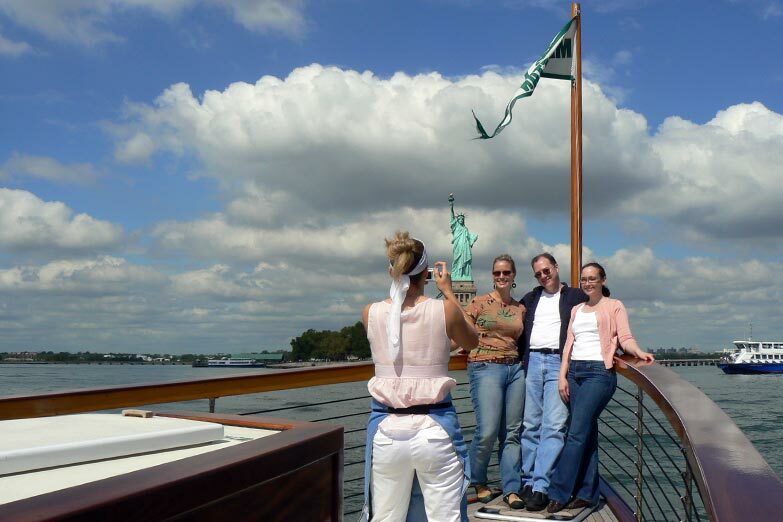 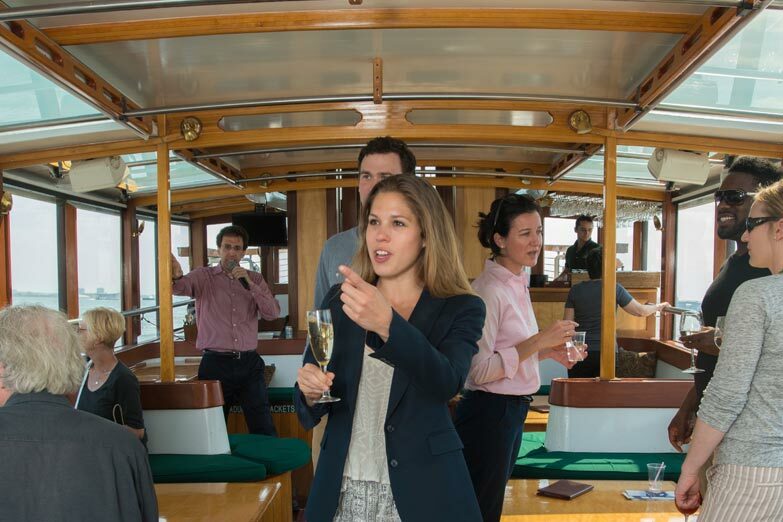 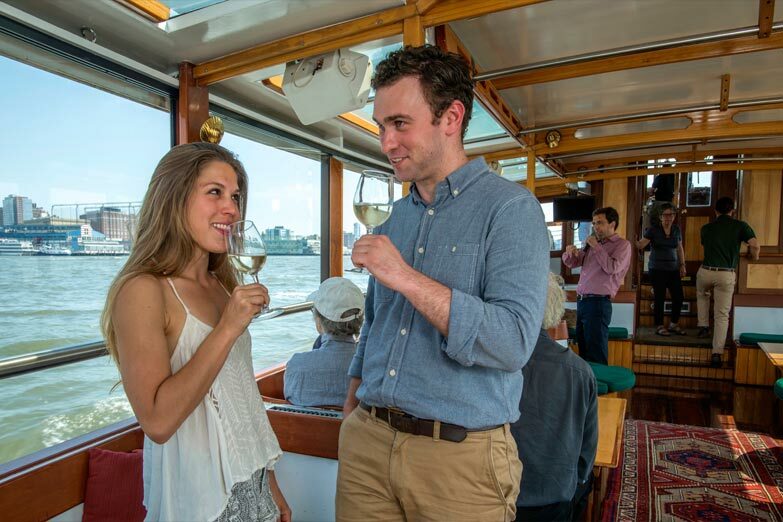 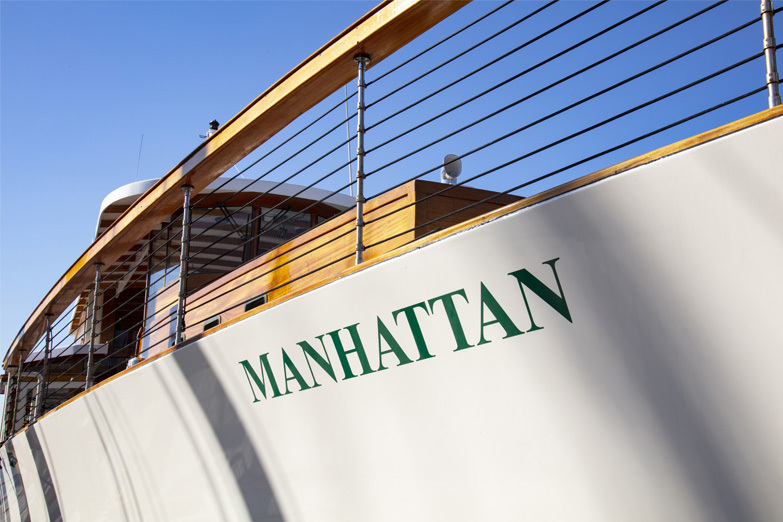 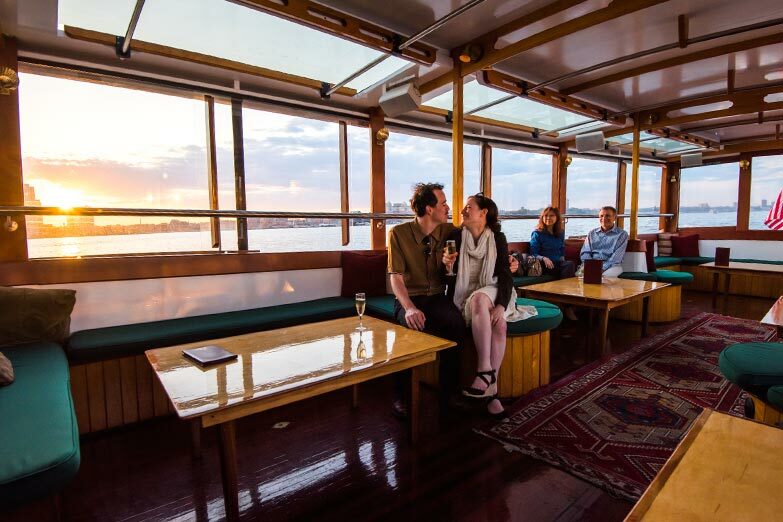 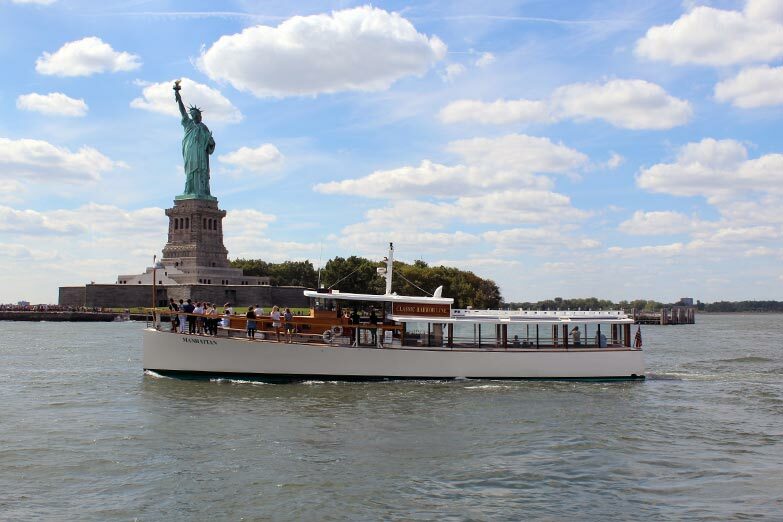 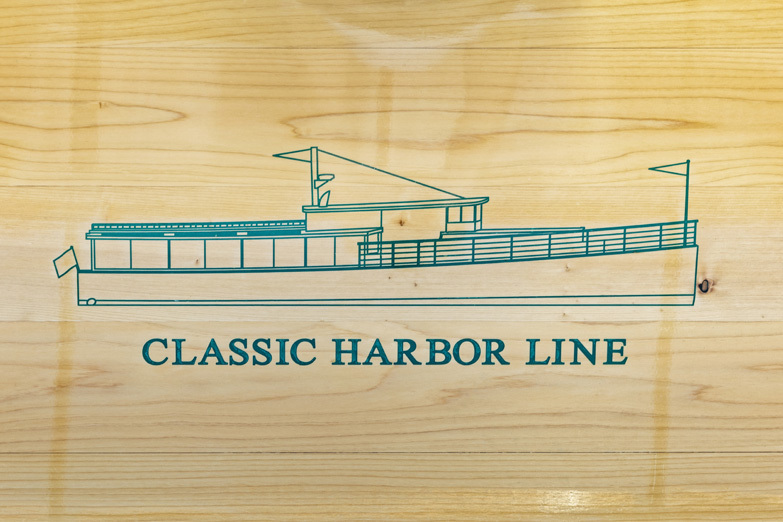 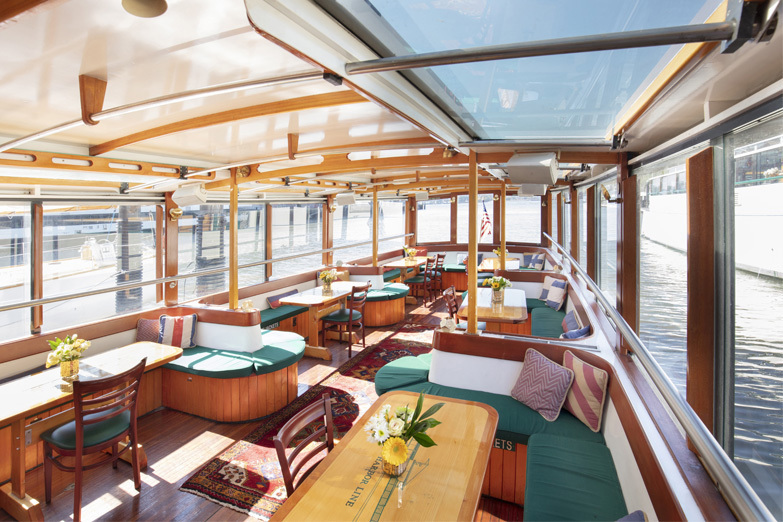 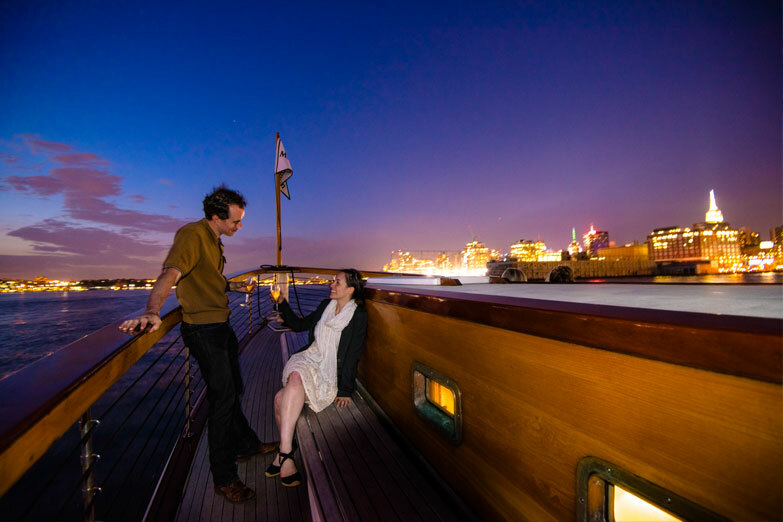 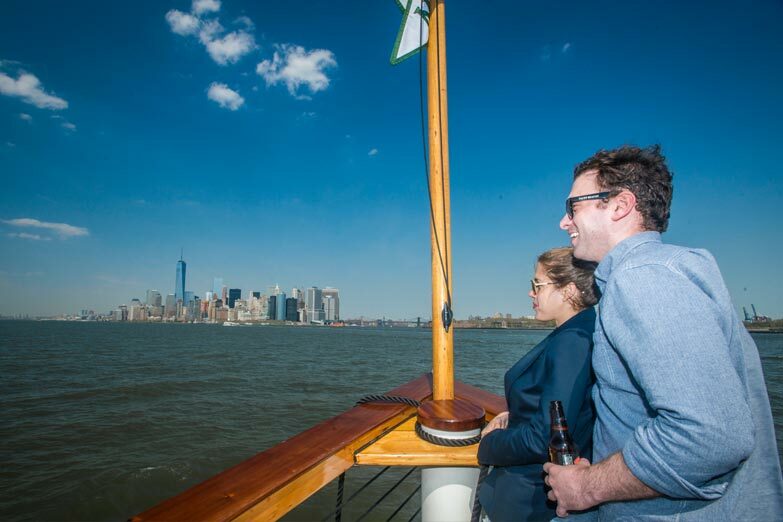 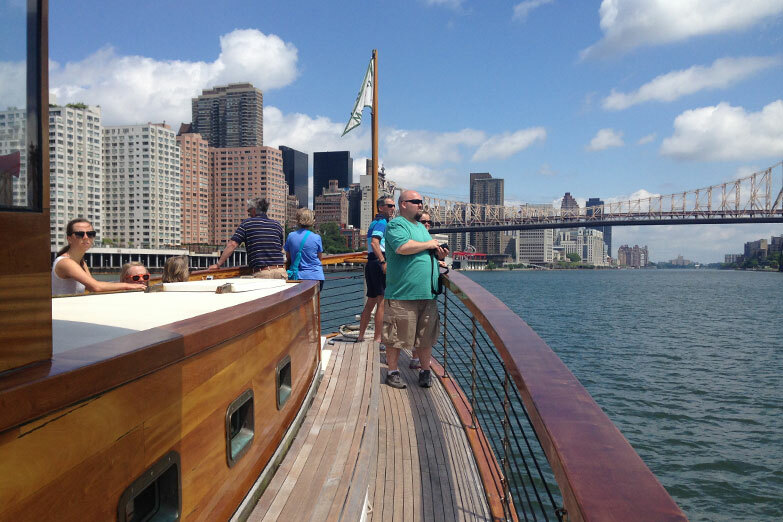 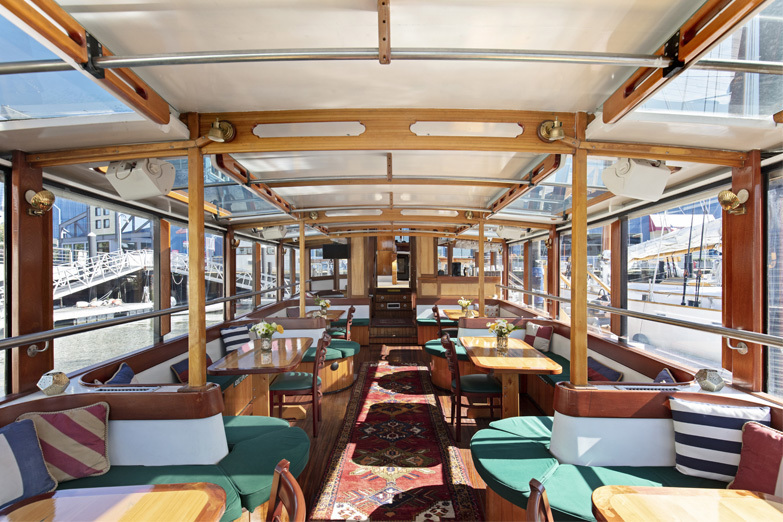 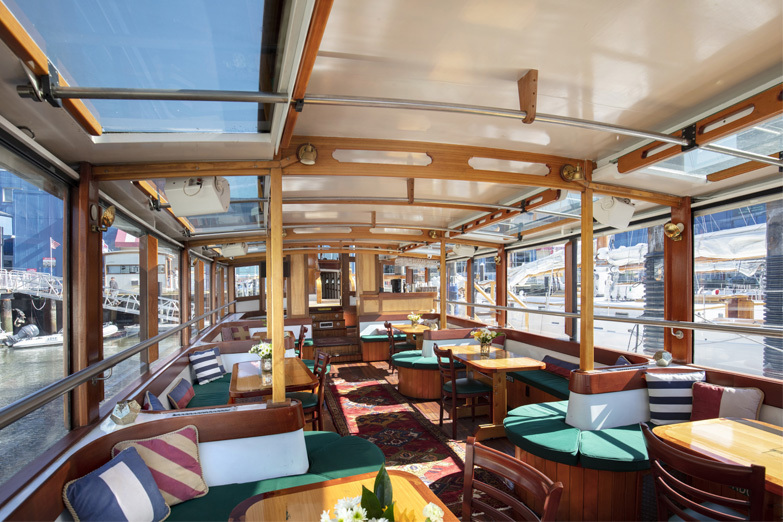 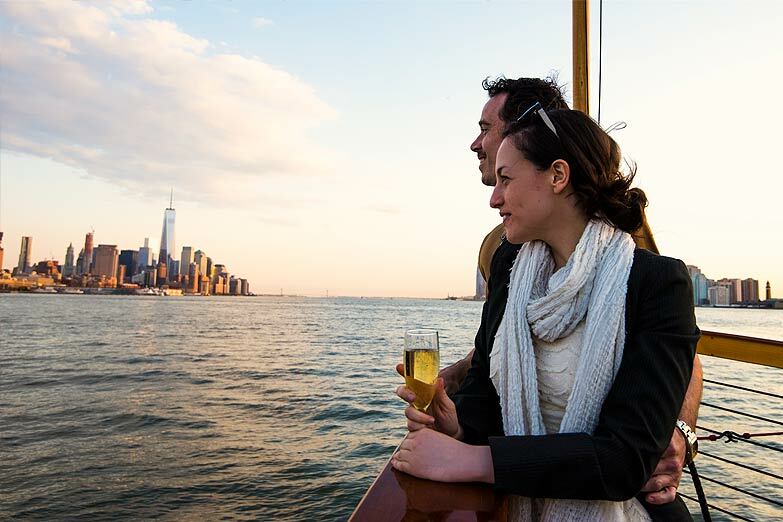 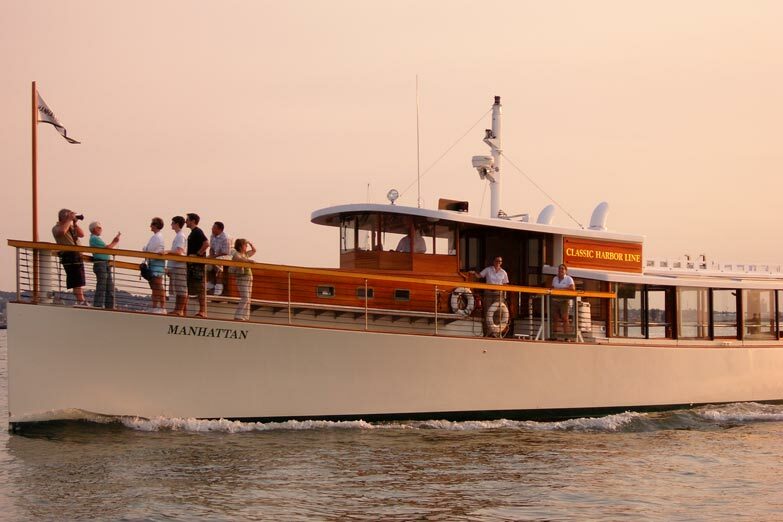 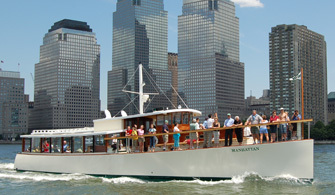 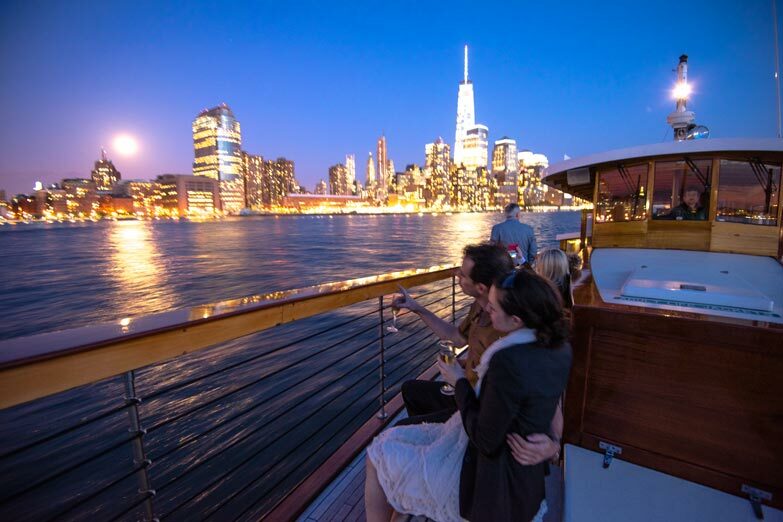 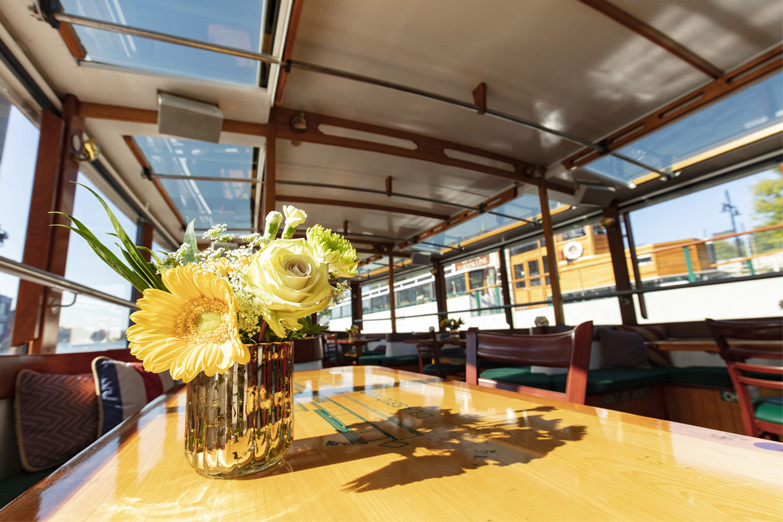 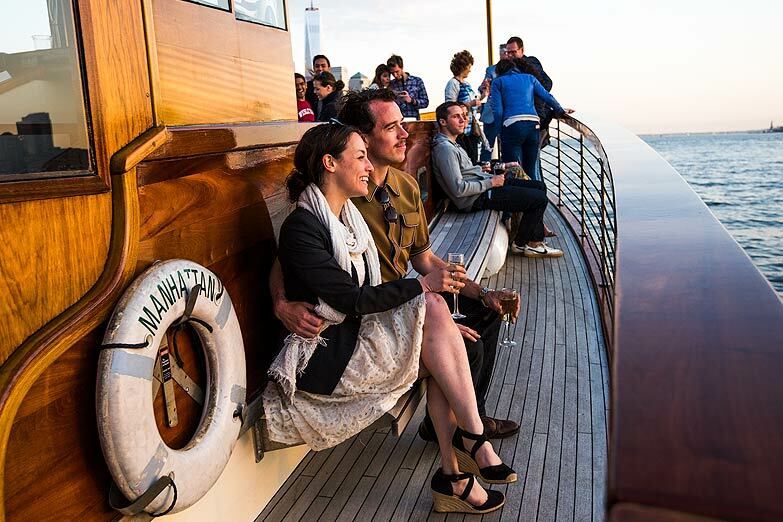 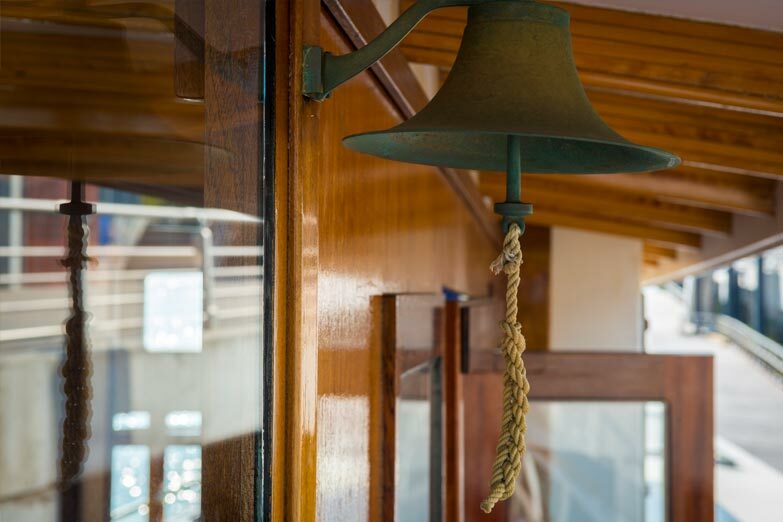 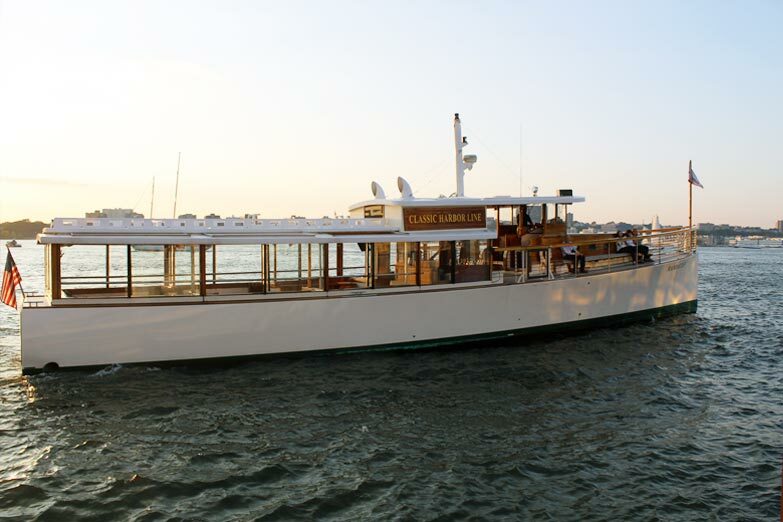 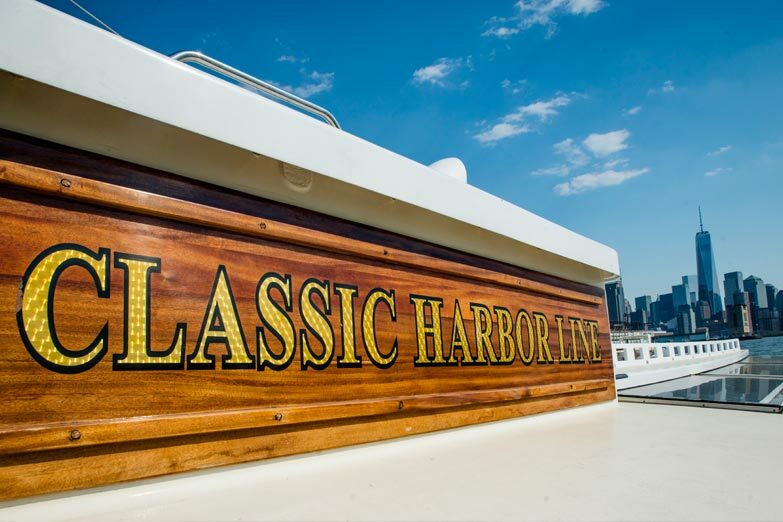 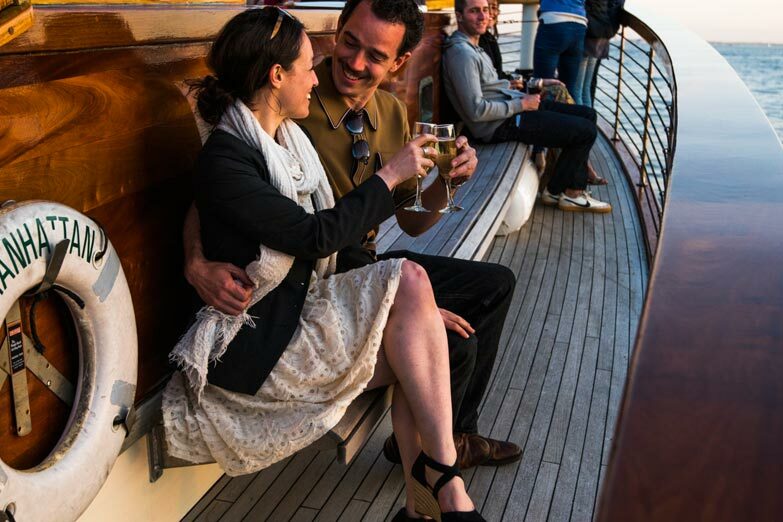 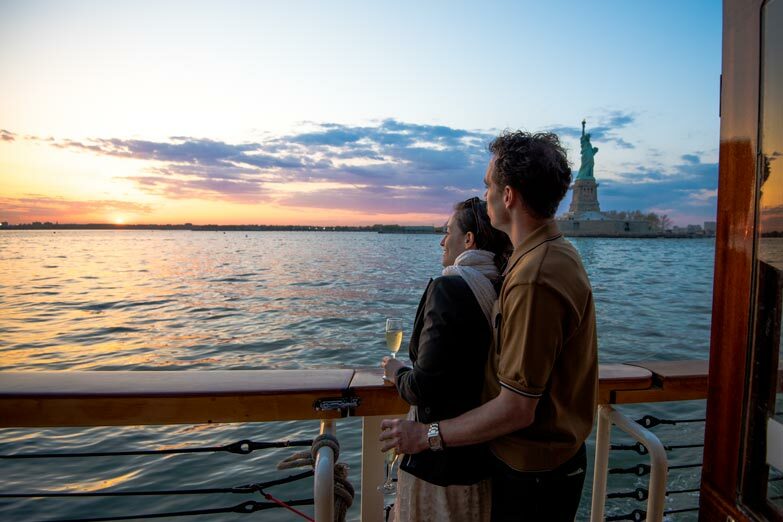 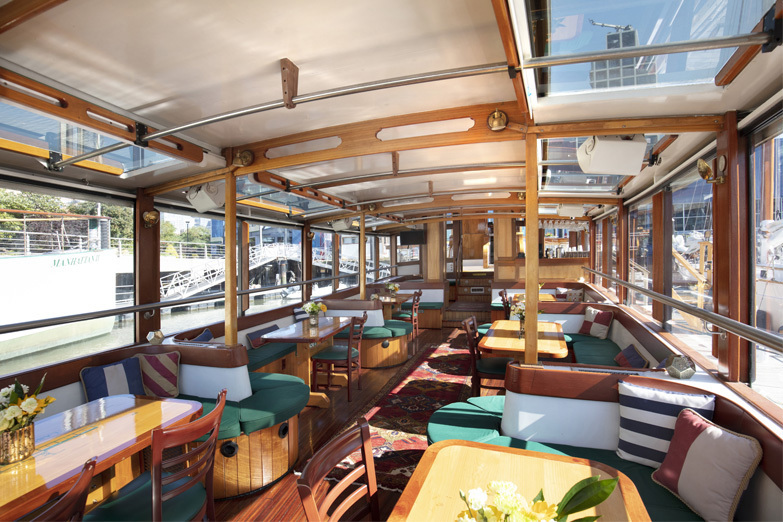 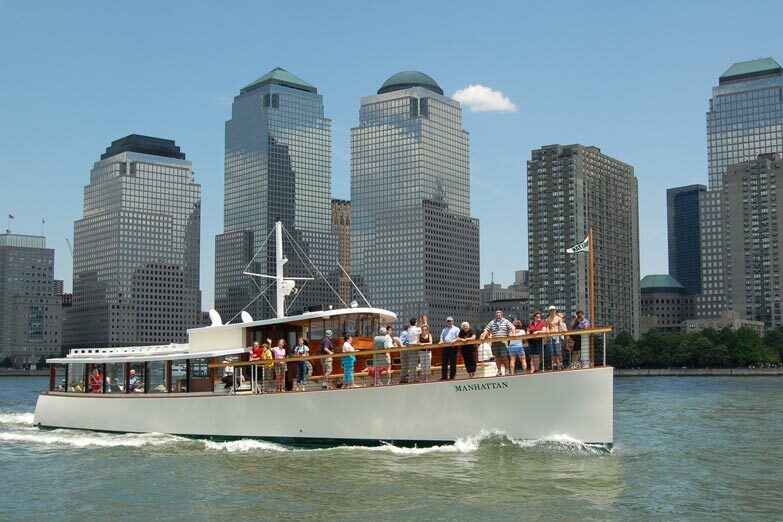 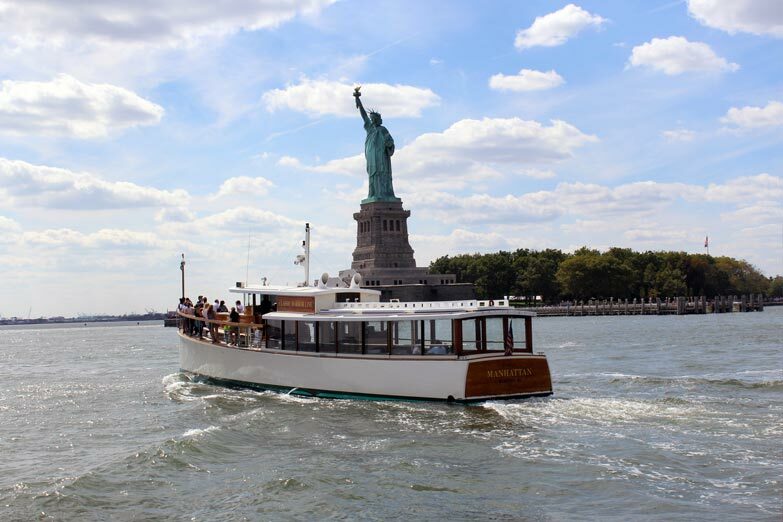 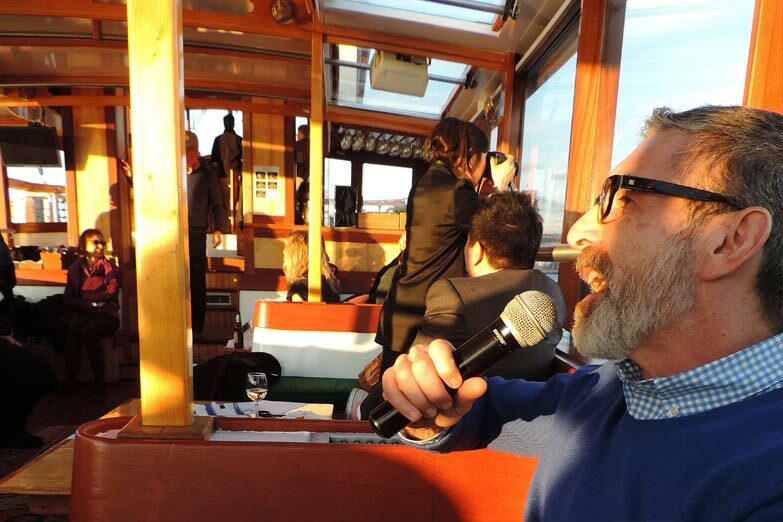 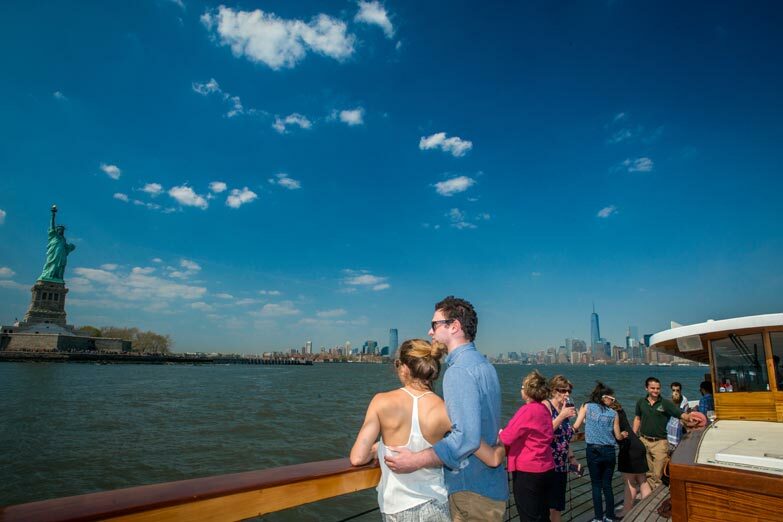 The Yacht Manhattan is equipped with a sound system throughout offering the most luxurious narrated tours offered on the water: the AIANY Architecture Tours, Bridge & Infrastructure Tours and the classic Statue & Skyline Tours, to name a few. 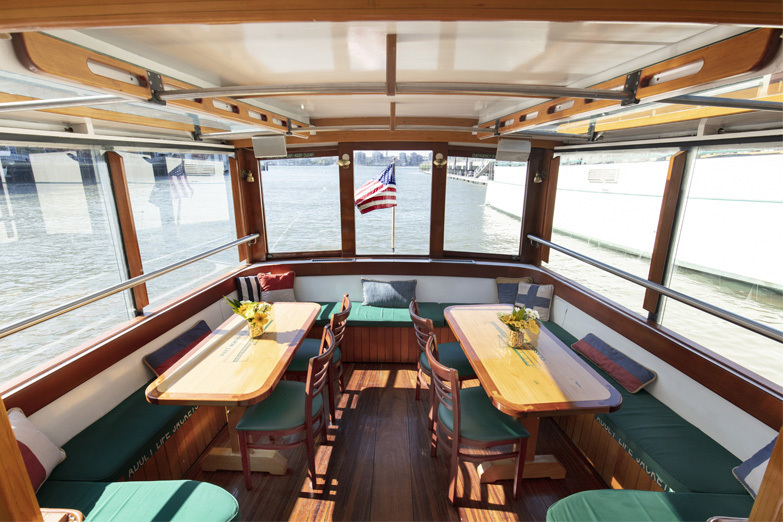 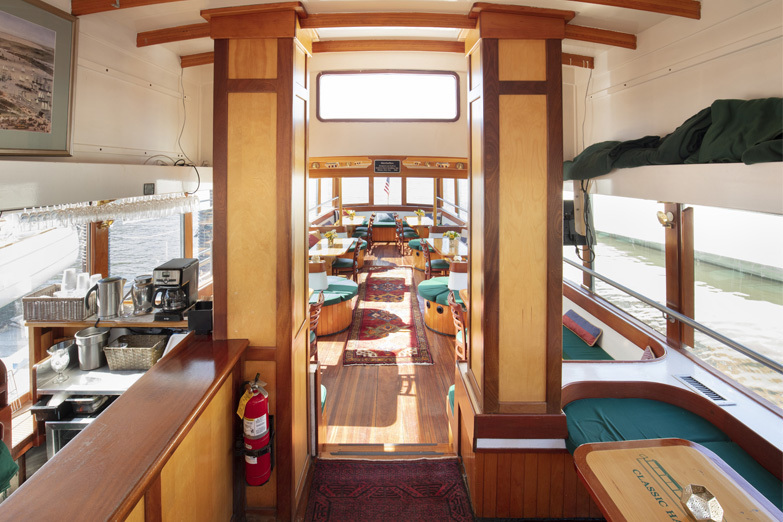 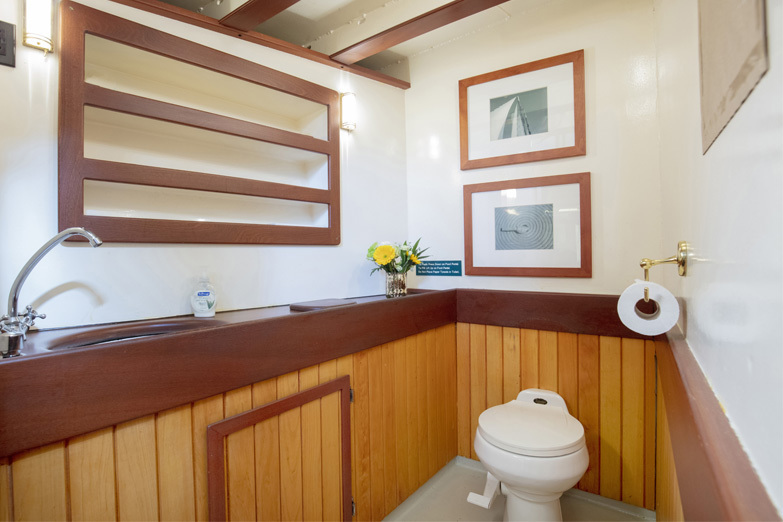 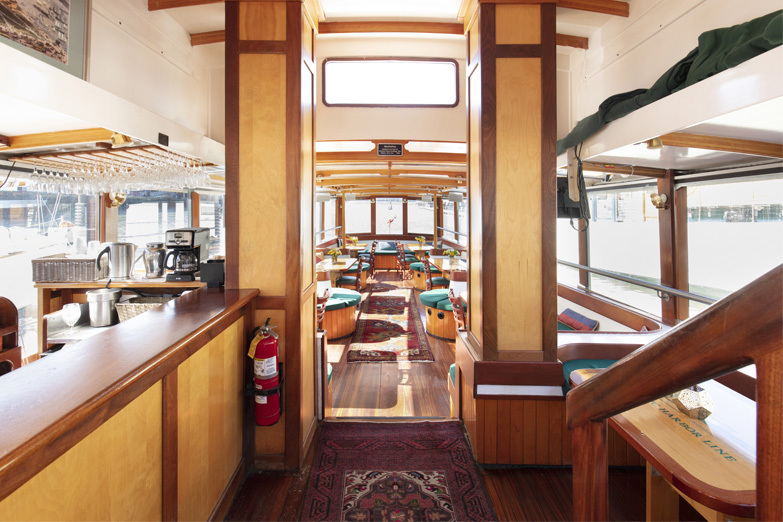 Down below is a full service galley, enabling the Manhattan as a most popular venue for private charters. 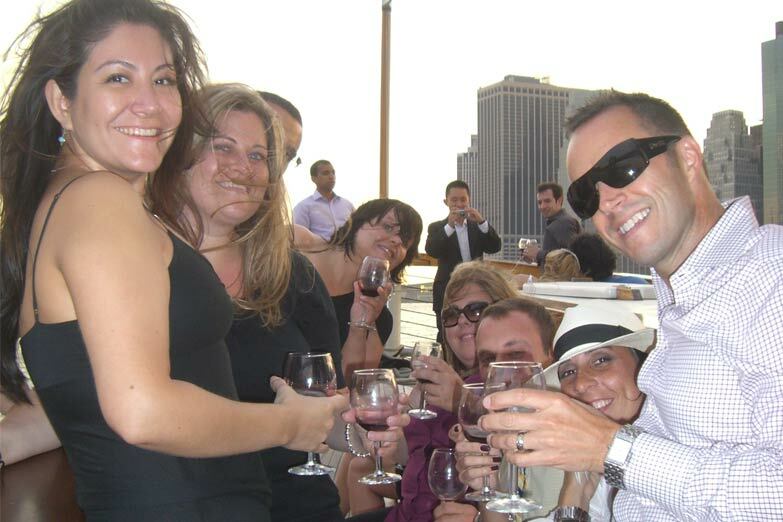 She hosts corporate cocktail parties, rehearsal dinners, weddings and many a birthday bash. 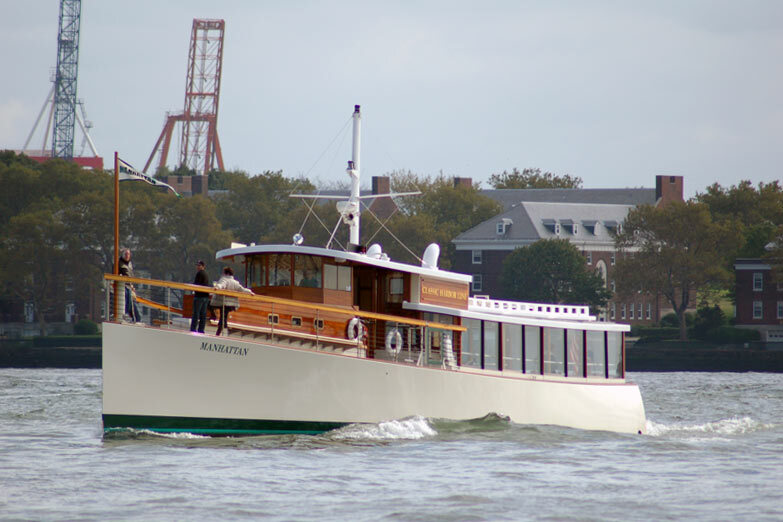 She is Coast Guard Certified for up to 85 passengers. 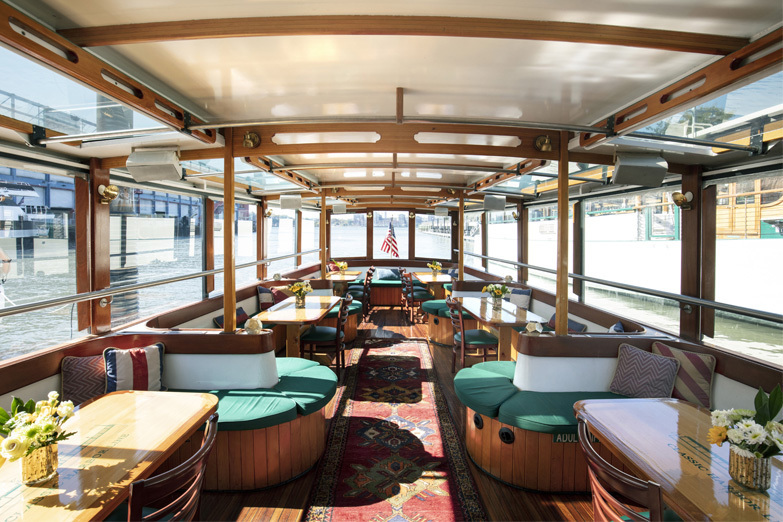 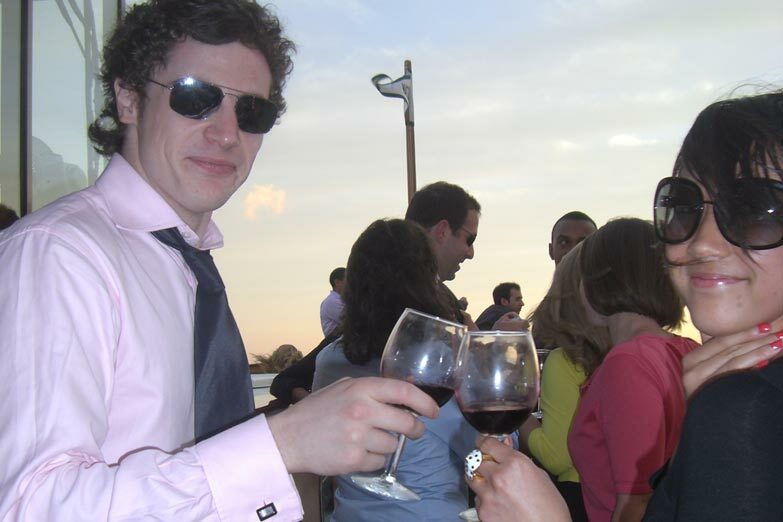 However is ideal for up to 65 guests in mild weather and up to 50 in the harsher seasons. 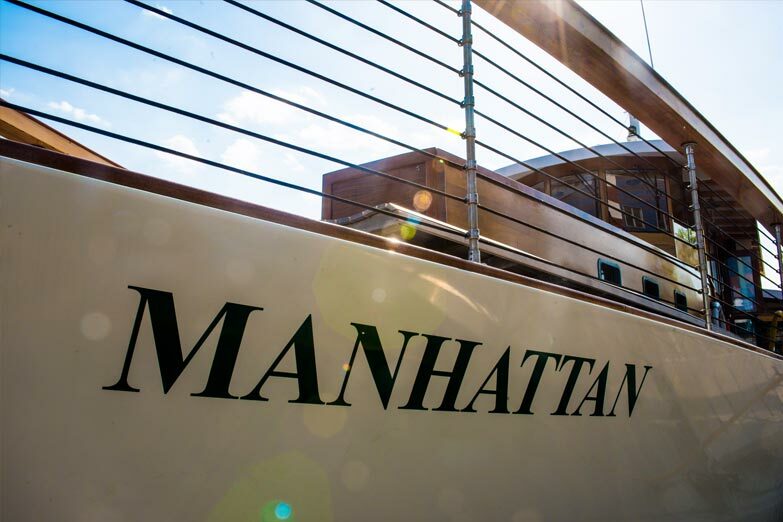 The Manhattan is available year-round. 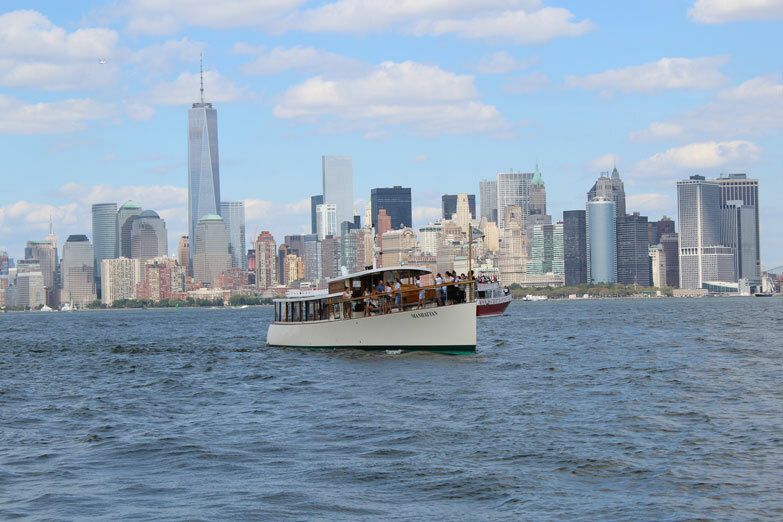 “A water view of the architecture of NYC. 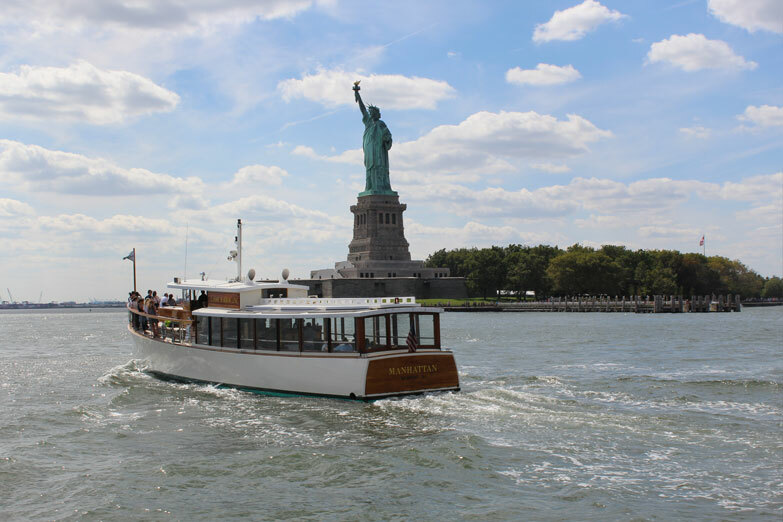 I gained an enormous amount of information about the architecture of buildings, bridges and monuments seen from the waterways surrounding NYC. 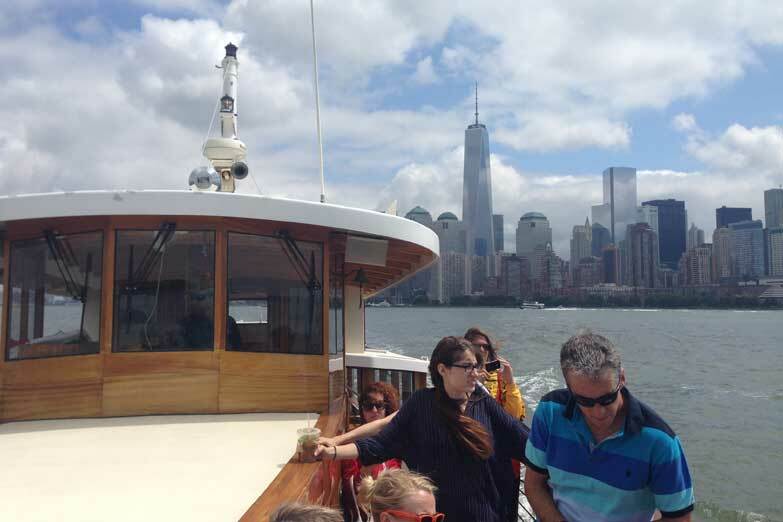 The VERY knowledgeable architect guide also provided in-depth information about the landscape and history of Manhattan island and its surrounding area that significantly complemented his architectural information.